Congratulations to Viktoria Sorochinski on winning Discovery of the Year Award. 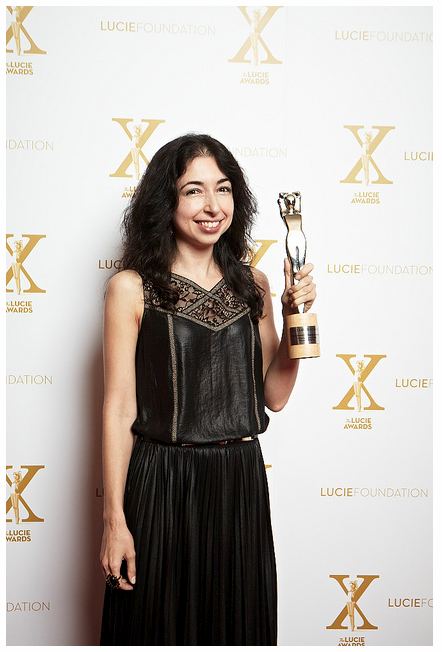 The International Photography Award (a sister effort of the Lucie Foundation) was presented on Monday, October 8, 2012 at the Lucie Awards ceremony held in Beverly Hills, California. CEG exhibited Viktoria’s work earlier this year January 6 – February 25, 2012. You can see more work by Viktoria here.